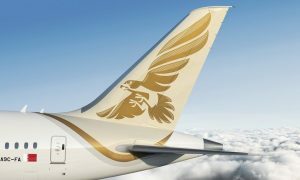 Gulf Air, the national carrier of the Kingdom of Bahrain, confirmed the suspension of its five weekly flights to and from Sana’a International Airport , effective from 26th March 2015 and until further notice. 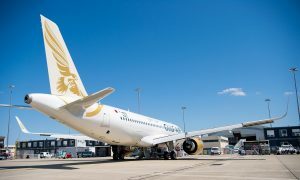 The airline reported safety and security concerns in light of recent security developments in the Yemeni capital, as the reason behind the suspension of flights to the Yemeni capital. 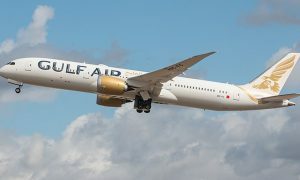 In a press release, Gulf Air reported that is “wholly committed to the safety and security of its passengers and crew and will continue to monitor and assess the security situation in and around Sana’a International Airport on a regular basis, working closely with airport and security officials in the Yemeni capital. The airline hopes to resume services to Sana’a as soon as operational conditions permit”. On March 20th, terror attacks targeted two mosques in the Yemeni capital Sanaa, leaving hundreds of people dead and injured.